The Family Preservation staff is located on the Greenbriar campus at the administrative offices. Services include individual, family and group counseling, behavior management, parenting assessments, in-home and center-based parenting education, life skills training, connection to community resources, advocacy, etc. Staff is available during regular administrative hours as well through a 24-hour pager system. The impact of this program has on human services and the community is that it decreased the number of children that have to be removed from the home and placed in protective custody; thusly, is an economic savings to the community; it decreases breakdown of family structure; thusly, increasing functional, successful families; and decreases the abuse and neglect of children. In 2017, the Family Preservation program served 125 individuals. 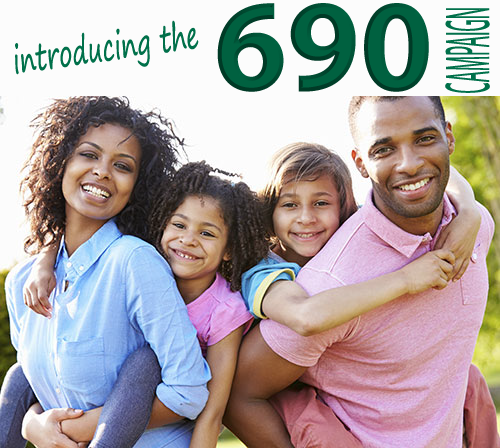 To celebrate the 69th Anniversary, we at Greenbriar Children's Center, INC. want to challenge and encourage everyone to support Greenbriar's continued efforts to lift and protect local families and children. If it weren't for the support and guidance of Greenbriar children's center, I would not have my family back. I owe them all the gratitude in the world. The mission is amazing, long history of helping and installing hope. They do as much as they can to help. I would volunteer for them again. This program is very valuable to our community because there are so many families going through similar issues as my family, that need all of the counseling and help that Ms.Gray and Greenbriar offer, and it is affordable.